Seabreeze is a 4 bedroom kit home from Wholesale homes and sheds. The style resembles a 'pavillion' home, by separating the main living areas and bedrooms from the master bedroom. The main living area has an open plan kitchen, lounge, dining leading to a great looking gabled deck via two sliding doors. 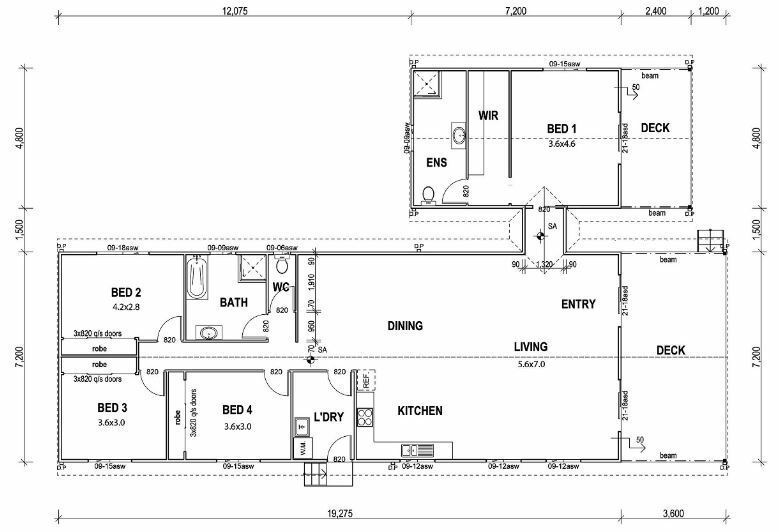 The other 3 bedrooms are situated behind the living area with a full sized bathroom and laundry. The master 'pod' has it's own ensuite and walk in robe and also has a gabled deck. The plan has an under-roof size of over 210sqm, including decks. Wholesale homes has priced this kit at $61,450: this is to 'Lockup' so no internal linings etc for this price, but further stages are described on the site. The price is also based on standard treated timber frames, Low-Bushfire Alert Level, Non-cyclonic and 2400mm ceilings. If you are looking for a pavillion style kit, have a closer look at this one. 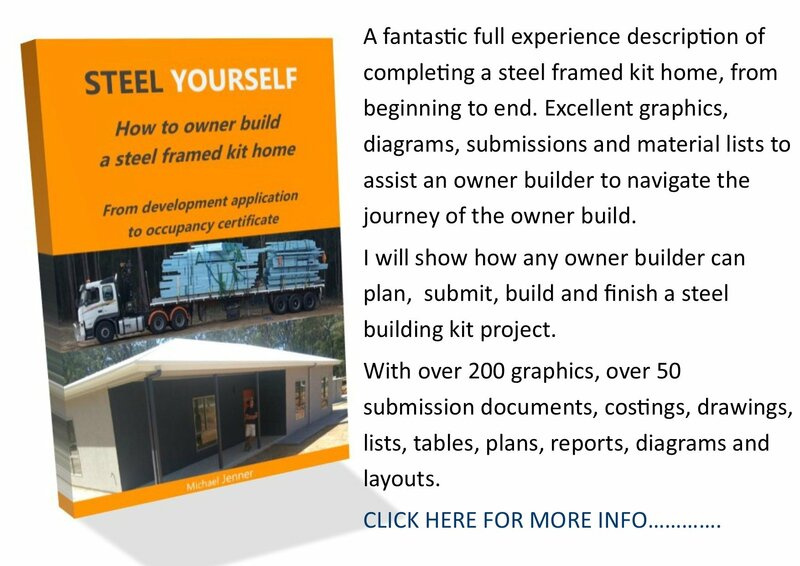 The Wholesale homes and sheds site is here. 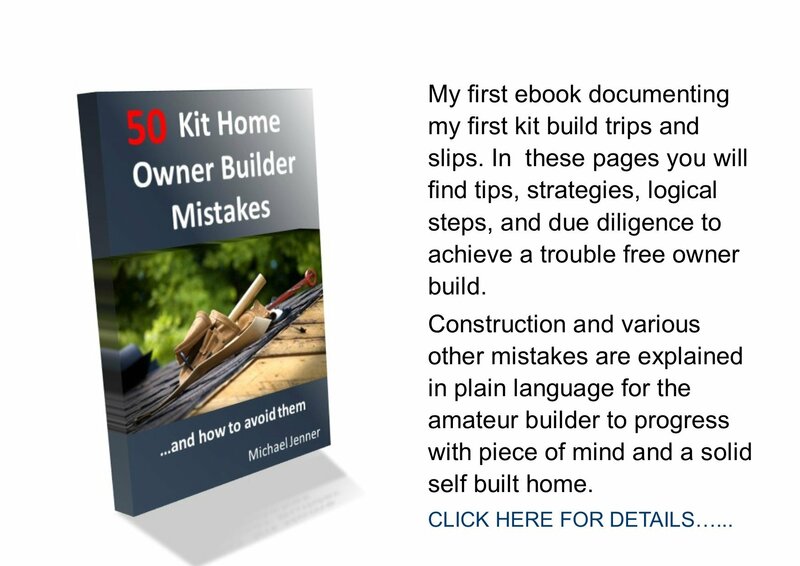 Find more kit home plan reviews here. Or return to kithomebasics homepage.